UNITED NATIONS, Oct 24 (APP): Opium production in Afghanistan rose by 43 per cent to 4,800 metric tons in 2016 from 2015, according to the latest figures released Monday by the Afghan Ministry of Counter Narcotics and the UN Office on Drugs and Crime (UNODC). The area under opium poppy cultivation also increased to 201,000 hectares in 2016, up 10 per cent from 183,000 hectares in 2015, Afghanistan Opium Survey found. 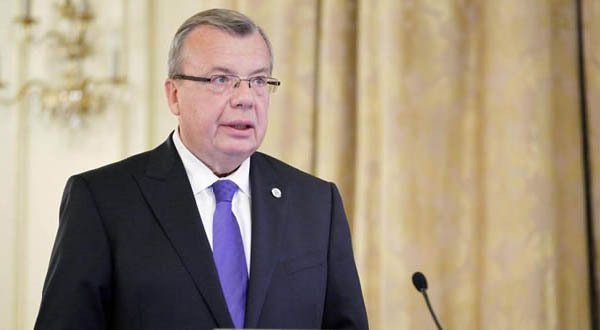 “The new report shows a worrying reversal in efforts to combat the persistent problem of illicit drugs and their impact on development, health and security,” UNODC Executive Director Yury Fedotov in a statement timed to coincide with the survey’s launch. Consequently, he urged the international community to lend its support to achieving the Sustainable Development Goals (SDGs) in Afghanistan, including vital work on a peaceful and inclusive society, health, poverty, peace, and gender, among many others. According to UNODC, the higher production can be explained by the larger area under opium poppy cultivation, but the most important driver is the higher opium yield per hectare. The largest yield increase occurred in the Western region where the average yield grew by 37 per cent and the Southern region, with a 36 per cent rise. Since these two regions account for 84 per cent of the total opium poppy cultivation in Afghanistan, the yield increases in these regions had a strong impact on the national potential opium production. The average opium yield, meanwhile, is at 23.8 kilograms per hectare, 30 per cent more than in 18.3 kilograms per hectare in 2015. A total of 355 hectares of poppy eradication was carried out by the provincial Governors in 2016, a decrease of 91 per cent from 2015 when 3,760 hectares were eradicated. In 2016, eradication took place in 7 provinces, compared with 12 provinces in 2015. Hilmand, with 40 per cent of the national total, remained the country’s major opium poppy cultivating province, followed by Badghis, Kandahar, Uruzgan, Nangarhar, Farah, Badakhshan and Nimroz. As noted in the survey, opium cultivation decreased in some of the main opium poppy-growing provinces, notably Farah and Nimroz, which saw declines of 57 per cent and 40 per cent, respectively, but climbed in the provinces of Badghis and Badakhshan, which saw increases of 184 per cent and 55 per cent, respectively.